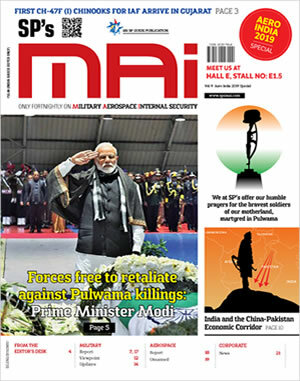 In September 2018, our media had reported that government has cleared the way for one of the biggest purchases from Russia � $2.2billion frigates deal; India to procure four new warships for the Navy as part of its Project 11356 or advanced Talwar-class frigates, involving building two of the ships at the Goa Shipyard, and rest bought directly from Russia's Yantar shipyard. The deal was being processed as a 2+2 scheme for technology transfer to Goa Shipyard to construct two of the frigates from scratch, and the other two delivered possibly within two years as the hulls of the ships have already been fabricated for a Russian Navy order that got stalled following the Ukrainian crisis. India and Russia had signed an intergovernmental agreement to proceed with the deal in October 2016, but price negotiations and technical consultations, which also involved the Indian shipyard, delayed the final clearance. While there were initial discussions to involve the Indian private sector to build two of the ships domestically, the government took a decision to nominate the state owned Goa Shipyard as it had spare capacity at hand. The Indian-made warships are expected to cost 30-50% more than the direct Russian import due to the cost of building infrastructure and transfer of technology. India already operates six of the Talwar-class frigates, but these four being ordered are to be more advanced versions; they are to be equipped with the Brahmos supersonic missile system and will have significant changes from the older ships as the Navy plans to have multiple indigenous equipment onboard, including sensors and communication systems. It was also reported that efforts were on to add the finishing touches to the contours of the deal, including alternative arrangement for part payment by India in Indian rupee instead of the standard US dollar, and the deal was likely to be signed during the bilateral summit between President Vladimir Putin and Prime Minister Narendra Modi slated in New Delhi on October 5. However, during the Modi-Putin Summit only the deal for procurement of 5 x S-400 Triumf air defence systems from Russia costing $5.43 billion (39,000 crore) was inked. This was possibly because the summit was held in the shadow of the threat of financial sanctions by the US under CAATSA. Financial sanctions by the US would complicate purchase of weapon systems from Moscow as Indian banks would not be able to transfer money to defence companies in Russia. A subsequent new report on 30 October 2018 indicated India has signed a $950 million contract with Russia for two upgraded Krivak III-class stealth frigates. Quoting a MoD official, the report read that a government-to-government contract was signed between India and United Shipbuilding Corporation of Russia in third week October for the supply of two stealth frigates after two years of negotiations. The MoD official said the procurement of the frigates will involve a rupee-rouble transaction instead of US dollars to avoid US sanctions under CAATSA. 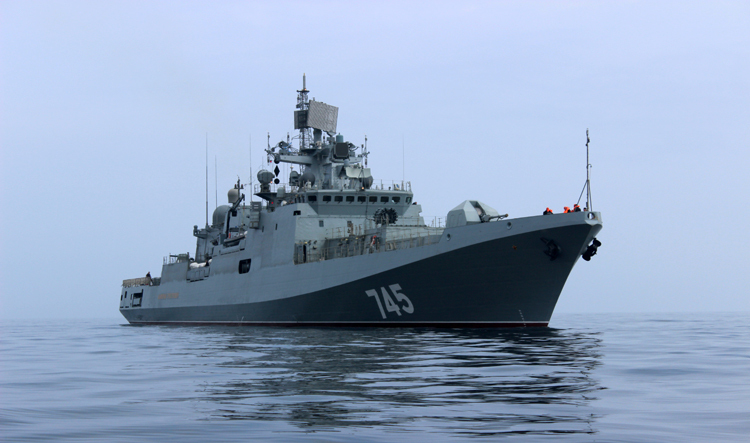 The frigates are built by Yantar Shipyard of Russia and will be powered by Ukrainian gas turbine engines. The ships are expected to be delivered by the end of 2022. A separate contract is to be signed during 2019 for construction of two similar stealth frigates in India. The 4,000-ton Krivak III vessels will also accommodate two multirole helicopters and will be used for anti-submarine and airborne early warning missions. 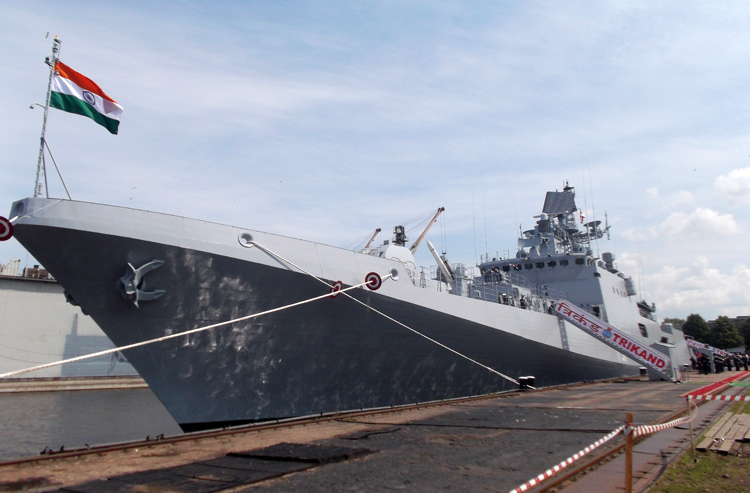 India has already built seven basic versions of Krivak-class stealth frigates under the Navy's Project 17A scheme at state-owned shipyards Mazagon Dock Limited, and Garden Reach Shipbuilders and Engineers. 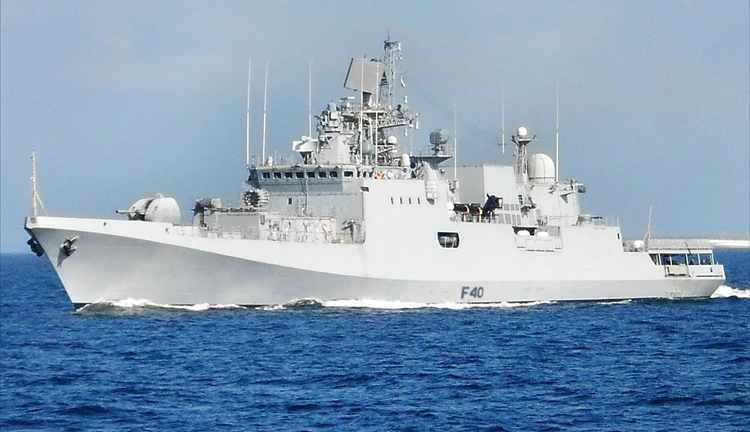 Recent media reports of November 2018 now indicate India and Russia have signed a $500 million contract to build two stealth frigates in Goa that are expected to be delivered by 2027. Russia's state-run arms exporter Rosoboronexport and India's Goa Shipyard Limited (GSL) signed the contract in New Delhi to build the Grigorovich-class 'Project 1135.6' frigates with technology transfer from Russia. This is just weeks after India signed a deal to import two upgraded Krivak III-class stealth frigates from Russia. According to a government official, the warships being built in India will eventually cost a lot more than $500 million, which is only the upfront value of the deal, saying, "The $500 million is for the foreign content in the vessels including material, design and specialist assistance. The frigates will cost more factoring in the indigenous content. That cost is being worked out". GSL is expected to deliver the first frigate in 2026 and the second a year later. The Indian Navy currently has a fleet strength of 140 warships, with plans to increase the number to 198 by 2027. Among the immediate priorities for the Navy are minesweepers and multi-role helicopters that can be deployed on warships. MoD has recently issued a 'letter of request' to the US government for acquisition of 24 naval multi-role MH-60 'Romeo' helicopters. The Indian Navy currently operates six such stealth frigates; three of Talwar class and three of Teg class which were procured from Russia between 2003 and 2013. These four will add up to 10 stealth frigates, boosting India's muscle in the Indian Ocean region.